When it comes to composing wildlife images, consideration has to be given to the subjects tail, if there is one. I find this to be particularly true for those species that have long tails. A female leopard drops to the ground. Canon 5Dmk3 and Canon EF 70-200 f/2.8 IS II lens. Shutter speed 1/3200sec at f/4.0, Iso 800. 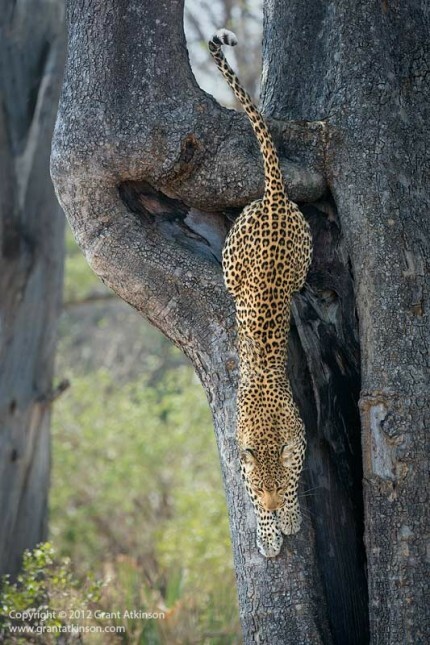 The image of a leopard descending a tree serves as a good example of what impact tails can have . One important thing to remember is that if you wish to include the entire tail in your frame, then it is best to allow enough room in your frame so as not to accidentally cut off the tail. This is especially easy to do if the subject is moving, as we tend to be trying to maintain focus on the animals head. With animals like leopards, and their very long tails, it becomes apparent when the tail is fully extended that the shape of the cat’s body and tail do not comfortably fit the shape of a 3:2 rectangular image sensor. The subject becomes very long, and shooting with a short enough focal length to fit all of it in usually means that one has to then incorporate more background into the composition than might be ideal. In the image above, I would have preferred to simplify this frame by shooting tight enough to just have the cat against the tree trunk, but it wasn’t possible to achieve that in the camera. Of course it is possible to crop afterwards, but heavily cropped images will suffer a quality loss, and still won’t have the same feel as an image shot at a more suitable focal length. 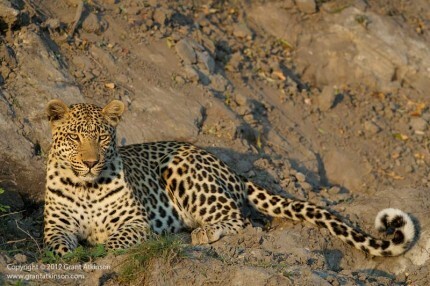 A young male leopard, very alert. Canon 1Dmk4, Canon EF 300f2.8 IS lens. Shutter speed 1/640s at f/5.6, Iso 500. In this image of a male leopard I chose to include the entire tail. This forced me to frame wide and this has some impact on the resulting image. The strong shape that the tail makes tends to compete somewhat for my attention with the leopard’s intense stare. As a viewer, you may prefer viewing the leopard in this way, or you may have rather had an image where the tail was not visible. As a photographer, it is important to be aware of what impact the tail will have on the final image. This awareness can help when it comes to making choices in camera with choosing focal length and shooting angle. Had I taken this image from the left side of the cat, his body would have naturally blocked his tail from view. 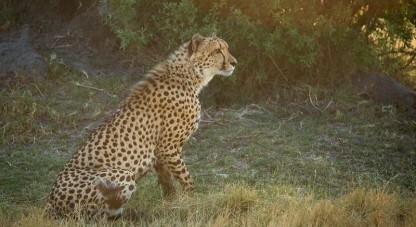 A male cheetah stares into the distance with intent. Canon 5Dmk3, Canon EF 70-300L f/5.6 IS. Shutter speed 1/500sec at f/6.3, Iso 500. 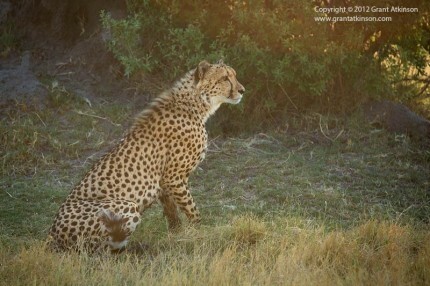 The tail came into play once again in the cheetah image above. Before I took this shot, this cat had his tail stretched out behind him. Including it meant I had to pull back on my zoom lens, and that placed the cat’s body right in the centre of the frame, which felt awkward to me. The moment he pulled his tail toward him, and swished it around his leg, I snapped this frame. This pose, with tail against his body, allowed me to place the cheetah off to one side a little, and to zoom in for more impact. In such instances, when the subject may be changing size and shape rapidly, zoom lenses like the Canon EF 70-300L and Canon EF 70-200L f.2.8 IS II come into their own, allowing me the flexibility to change my composition rapidly. I have chosen to use images of big cats to illustrate this post, however it could just as well have been mongooses, or squirrels, or any other animal that has a long tail. Tails can be expressive, and add much to an image. At other times, excluding them may be preferred. I try to be aware of the tail and its effect in the moments that I am shooting, so that I can think through my shooting decisions. Hi Etienne, you are so right about the heat of the moment…the pressure that comes from only having a limited amount of time to compose and focus really makes wildlife photography more challenging than it might seem. Checking edges of the viewfinder is definitely a good habit to cultivate…glad you liked the post and thanks for taking the time to comment! Great blog, I really enjoy your articles … and photos 🙂 Very interesting article, I have had tail dilemmas a few times – but now I noticed that I need to pay a bit more attention to tails, especially when they play such a prominent role such as cats and monkeys for example – it’s so much stronger composition when it is framed properly. This is definitely going into my “need to keep in mind for next time” notebook. 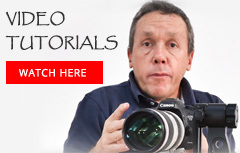 Your information is so practical, thank you so much! Leopard coming down from the picture is a beauty. Tails/flowing hair(human)/bags/sticks(as in fighting sticks, think Zulu men) I always manage to cut off. I curse at myself afterwards as there is usually no retakes (fleeting moments and all).